Original Jackwagon Beer/Soda Koozie. Holds up to a regular 12oz can. 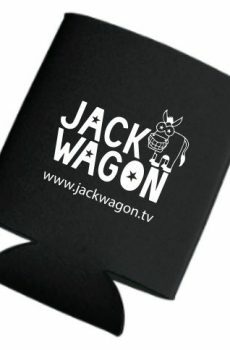 Keeps your drink cool. Good Stuff.